Happy Friday! This week has been quite a nice week off from school. I haven't done a single thing for school and will definitely regret this decision come Sunday night, but that's okay with me. We all need a week to recharge. The kids and I have had a nice laid back week and that is exactly how I like it. I want them to be well rested as well. I decided at the beginning of February I needed to go back to my morning smoothies. During the summer and fall, I was very good about them but then the cold weather returned to Maine and my desire to drink something cold in the mornings disappeared. I noticed a huge lack of energy and some extra poundage coming on - perhaps too much pizza, chips and beer. Then I remembered how many extra yummy, good for you ingredients go into my smoothies and I knew what I was going to do! I keep my smoothies simple - I usually have coconut/almond milk (or cashew if my grocery store has it), a green, some fruit, source of protein, hemp or chia seeds and then I blend like crazy and enjoy. Ward and Izzy have even joined me with my morning smoothies and I couldn't be more delighted. The FitApproach and Prana daily yoga challenges have been amazing. Today is the last day for #BringingYogaBack and there are a couple of weeks left to the #TakeTheLeap challenge. Even if I only do 5 minutes of yoga a day, I feel my body is getting that much needed stretch. I also love that the kids have been watching and trying too....I tried one pose the other day and fell over. Then Tucker said "I can do that!". Not quite...but he didn't fall over like I did! 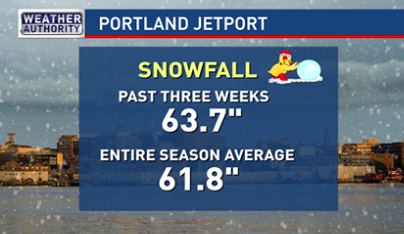 I'd say we have enough snow and can move onto Spring now! Just in case you have never enjoyed the sun with the snow reflection, it's hard to see. The glare can be overwhelming. I usually have a nice collection of sunglasses sitting beside the door to choose from, but they are all rather athletic looking. Sometimes I want a little different look. I was sent these sunglasses from the Glasses Shop and I love them! A completely different look for me and they are polarized. You should check out the Glasses Shop and their great, affordable prices! Be sure to use JenniferBX20 for 20% off as well. I've been a lover of Skechers for over a year now. Nothing hugs my arches and keeps my feet happier. Well, if that shoe does exist, I haven't tried it yet. 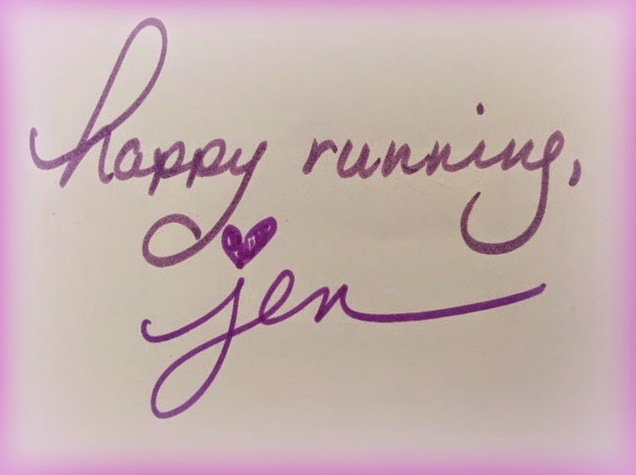 Last week, I stopped by my fave local running store - Granite City Running just after the UPS man had visited the store and delivered the GoRun Ultra2! It was meant to be. the next day I ran 14 miles in them...no problem. And the color way of this shoe? I absolutely love. Bold, bright - reminds me of the 80's. Perfect for me. What are your favorites lately? What are your Friday/Weekend Plans? This morning, I'm heading off to a local animal shelter with hopes in bringing home this cutie (or one of her siblings). We will see if it was meant to be! No, we were not looking for a new dog at all. Pepper is the absolute best. 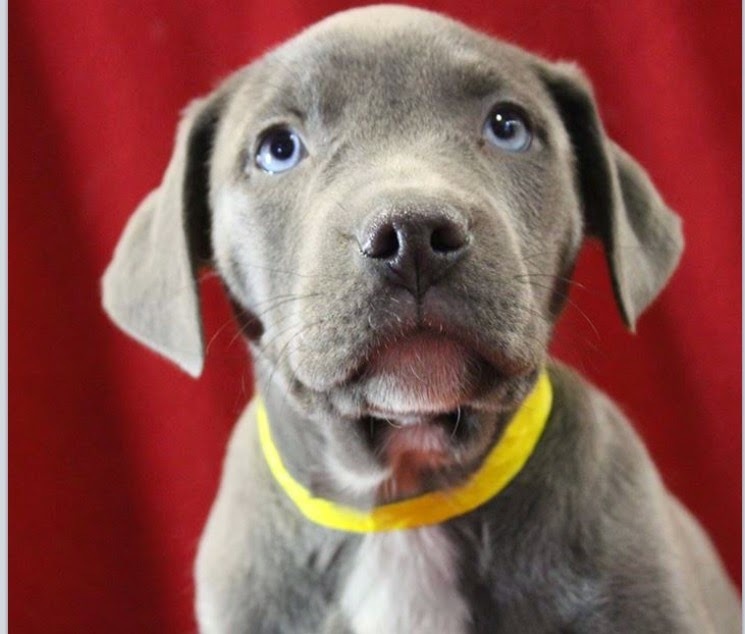 But those blue eyes and grey fur just pop and made us all fall in love with her. Plus, her name is Salty, which goes perfectly with Pepper! disclosure: I was sent a pair of sunglasses to review. I was not required to give a positive review. As always, all opinions expressed on my blog are 100% my own.